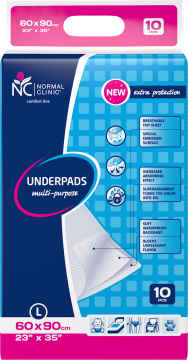 Multi-function hygienic underpads NORMAL clinic® contain a superabsorbent, which transforms the liquid into the gel and keeps a specific odour inside. 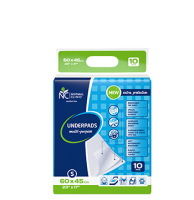 Easy to use the underpads ensure an ideal blend of cleanliness and comfort. 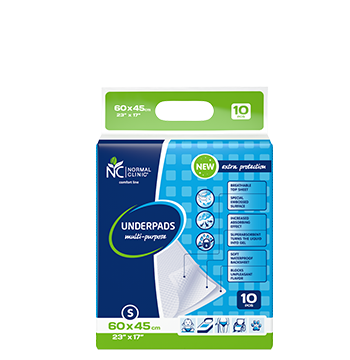 Their main advantage is the ability to absorb big volume of liquid quickly and safely. 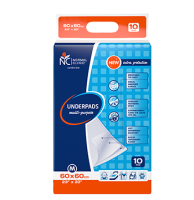 Top surface of the underpad is soft and absorbing, while the bottom layer is made from waterproof material which prevents the leakage. 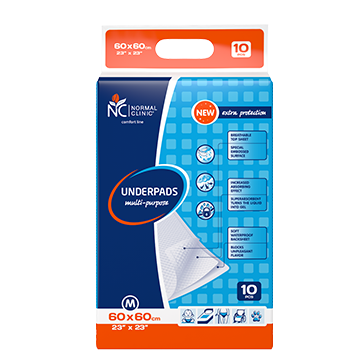 Such underpads make the personal care much easier.